Are you making the most of off-peak energy? We all know that energy bills are getting more expensive, having risen by nearly 40% between 2010 and 2013. This means that saving money on electricity and gas is more of a priority than ever for budgeting households, and one of the easiest ways to do just that is to make the most of off-peak energy tariffs. Some of the biggest providers in Britain offer off-peak energy, including British Gas, EDF and the Co-operative. There are a few different tariffs to choose from, including Economy 7, which gives users cheaper energy during seven hours of the night, usually falling between 10pm and 8:30am. There's also Economy 10, which splits the cheap hours across the day and night. Local distributors decide on the hours, so they'll vary depending on which part of the country you live in. If you do switch to an off-peak tariff, check how much money you're spending on energy first with our free budget planner. This will help you to keep track of how well the new tariff is working for you. Our first tip on how to save money once you've opted in might sound like a simple one, but many people on off-peak tariffs continue to use a lot of unnecessary energy during the day. This can be very costly, as the daytime prices are often almost twice as expensive as those on standard tariffs. This means that off-peak tariffs are best for people who will be out for most of the day. 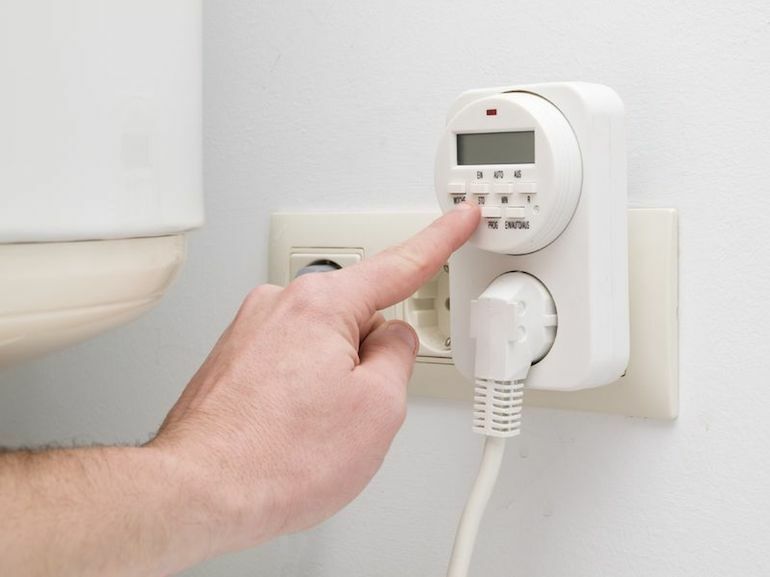 One way to avoid the high daytime prices is to prepare your warm water and heating during the cheaper hours at night. Electric night storage heaters have heat-retaining bricks inside, which slowly release warmth. Using one gives you all the benefit of having your heating on during the day, without the added cost. The same goes for hot water; switch on your boiler during the cheaper hours at night, and no one will have to cut their shower short in the morning. If you want to see savings, you should try to use at least two fifths of your energy at night. Large appliances like dishwashers, tumble dryers and washing machines are a big drain on energy, but fire brigades warn that it's dangerous to leave them on overnight. Luckily, lots of them now come with delay functions, so double check to see if you can programme your appliances to end just before the off-peak period ends. It wouldn't be practical to not use any electricity at all during the day, but you can still save money with a few energy saving devices. Either unplug appliances when you don't need them to be on, or buy a standby saver socket that stops them from using energy even when they're turned off. You could also make small switches, like buying an energy efficient kettle, a solar powered gadget charger or energy saving light bulbs.